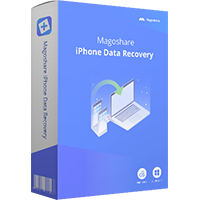 Magoshare iPhone Recovery 2.0 (Win&Mac) was available as a giveaway on August 9, 2018! 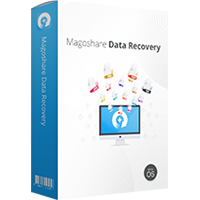 How would you improve Magoshare iPhone Recovery 2.0 (Win&Mac)? I still need to go through all of the 'recovered' files to be certain but when I clicked on 'only deleted files'. It found nothing. Still it did 'recover' more files than I have stored on the phone. Magoshare iPhone Recovery v2 claims another of my iPhone's has an unreliable connection, maybe its wonky cables, maybe it's wonky software, but no joy yet.
. Magoshare iPhone Recovery v2 claims another of my iPhone's has an unreliable connection, maybe its wonky cables, maybe it's wonky software, but no joy yet. .
Magoshare iPhone Recovery v2 claims my iPhone is password protected, awaits a password entry into the program on my PC screen before scanning for data recovery, and will go no further ... even though my iPhone has no password.
. Magoshare iPhone Recovery v2 claims my iPhone is password protected, awaits a password entry into the program on my PC screen before scanning for data recovery, and will go no further ... even though my iPhone has no password. . I take it you never received an answer? Installed 5 months ago, didn't need it then. Now need it and get the same thing. What awaits a password -- your phone screen, or, software on your PC? 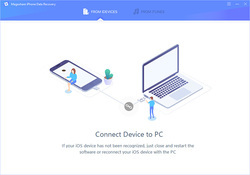 There are tons of recovery software alternatives, try ANY one, I got my contacts out using a couple of other competitors. If you have no access to your iCloud account, call Apple and stay on the line to resolve why ... unless the phone's iCloud account is NOT in your name and you don't have the iCloud account owner at hand to help hunt for what the email and password are ( NOT the same length as the black dots ! ). On another phone, I could not resolve the iCloud account, but I told Apple the IMEI number of the phone, they looked it up, and "suggested" that the prior owner may have transferred it to another email address sign-in, and because the prior owner was with me, the prior owner immediately could identify their other email addresses for me, and we unlocked the iCloud account and killed it, transferring it to me. There is no single one way to overcome misbehavior with Apple gear, but TURN OFF iCloud anything of you want the greatest chance of keeping the iPhone controllable by you ( though it may also be controllable by someone after you, intentionally or not ). Good luck, and let us know what you do.
. [ Shannon ], What awaits a password -- your phone screen, or, software on your PC? 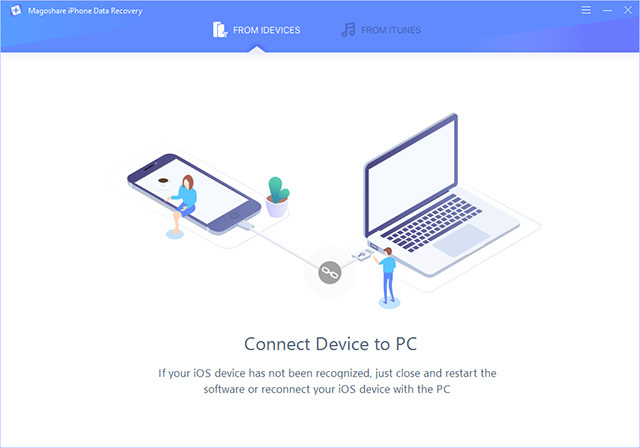 There are tons of recovery software alternatives, try ANY one, I got my contacts out using a couple of other competitors. If you have no access to your iCloud account, call Apple and stay on the line to resolve why ... unless the phone's iCloud account is NOT in your name and you don't have the iCloud account owner at hand to help hunt for what the email and password are ( NOT the same length as the black dots ! ). On another phone, I could not resolve the iCloud account, but I told Apple the IMEI number of the phone, they looked it up, and "suggested" that the prior owner may have transferred it to another email address sign-in, and because the prior owner was with me, the prior owner immediately could identify their other email addresses for me, and we unlocked the iCloud account and killed it, transferring it to me. There is no single one way to overcome misbehavior with Apple gear, but TURN OFF iCloud anything of you want the greatest chance of keeping the iPhone controllable by you ( though it may also be controllable by someone after you, intentionally or not ). Good luck, and let us know what you do. . I have same trouble as you did, software requesting password when obviously there is no password as the phone is unlocked. Locked phone should be the only thing that prevents access. 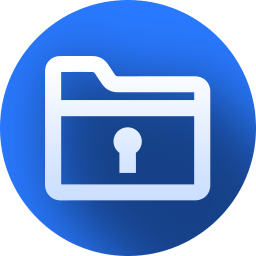 I have used other iPhone applications to move files back and forth between phone and PC and know that there has never been this issue before. Granted Apples new security times out the use of the power port but having the phone unlocked makes this mute. I have always backed up to computers and not relied on the 'cloud'. Did not take me long to use up my allotted free space there. Last backup sadly was back at the end of September. Was hoping you had received a reply from software manufacture but knew the chance was slim. I EVEN used the software and commented on it here but still looking once again at my version (2.0 run date 7/29/2018) it appears that it is still a 'trial version' which makes no sense to me as I ALWAYS register? AND I USED THE SOFTWARE? Trying their latest 'Trial' does me no good as it will only let you 'view' - not recover data. I feel silly saying this but know that you will likely be the only one that reads this. I didn't loose everything. Just set my phone down with messages open and the baby picked it up and when I got it back it was on delete message threads, so I lost a few histories, no clue how many yet. Actually, it sounds like you want to recover lost data from your phone ... and or return data from backup? Definitely check out other programs. No program seems to understand how to do everything, such as backup and restore call history or applications. ... and I cannot recommend any one of them for any particular reason, but you can keep looking at them and others programs for full-function trials and freebie giveaways and explore them and more. 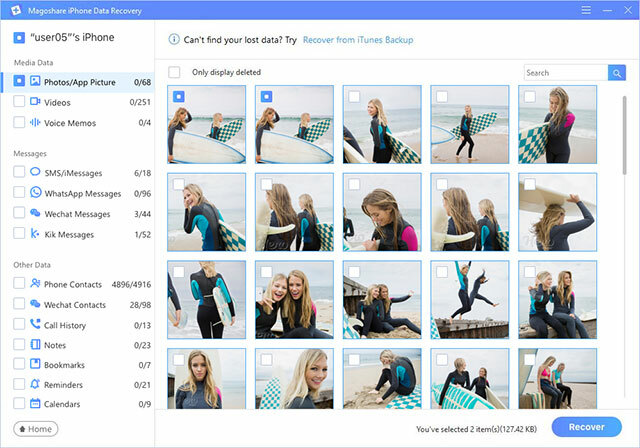 I'm still not sure what you are trying to do -- recover lost data, or backup data? Your iCloud account is full? Can you simply empty your current iCloud account and try again whatever it is that you want to do using Apple products? Can you make a second iCloud account with a second email, then transfer your phone to that second iCloud account and then backup, making perhaps a new iCloud account every year and then you can go back and retrieve anything you want from each separate year's separate iCloud account? Or just have a funeral ceremony and burn a blank sheet of paper in effigy for the lost data, say goodbye, and move on as if you were recovering from your phone being lost or stolen, and you got a brand new one to celebrate?
. [ Shannon ], Actually, it sounds like you want to recover lost data from your phone ... and or return data from backup? Definitely check out other programs. No program seems to understand how to do everything, such as backup and restore call history or applications. I have IOTransfer and DigiArty WinX Media Trans and MobieSync and DearMob iPhone Manager and Coolmuster Mobile Transfer and Leawo iOS Data Recovery and Joyoshare iPhone Data Recovery and AISeesoft MobieSync and APower Manager and a few Tenorshare tools ... ... and I cannot recommend any one of them for any particular reason, but you can keep looking at them and others programs for full-function trials and freebie giveaways and explore them and more. I'm still not sure what you are trying to do -- recover lost data, or backup data? Your iCloud account is full? Can you simply empty your current iCloud account and try again whatever it is that you want to do using Apple products? Can you make a second iCloud account with a second email, then transfer your phone to that second iCloud account and then backup, making perhaps a new iCloud account every year and then you can go back and retrieve anything you want from each separate year's separate iCloud account? Or just have a funeral ceremony and burn a blank sheet of paper in effigy for the lost data, say goodbye, and move on as if you were recovering from your phone being lost or stolen, and you got a brand new one to celebrate? ( I have my phone tethered on a neck strap and can't leave it anywhere, so I've been surprisingly immune to many of the experiences others share about lost phones and others touching and messing with the phone. ) . Your suggestions of apps that you have and use gave me the opportunity to try them as well. Joyshare and Leawo both are asking for passwords now as well which tells me that all 3 are trying to access my iTunes backup even though I have told each one to 'scan' my phone. I mentioned last night my error, leaving my phone unlocked and open to Apples messaging app only to get it back from the 14 month old and find it on 'delete messages' screen. I am guessing I lost at least 2 maybe 3 'threads' or message history. Did you turn off your iPhone's connection to iCloud in settings? I have a phone where I can't do that because of unknown iCloud password, perhaps that complicates getting local contacts, at least.
. [ Shannon ], Did you turn off your iPhone's connection to iCloud in settings? I have a phone where I can't do that because of unknown iCloud password, perhaps that complicates getting local contacts, at least. .
Was a good idea but I have not used iCloud in many years...I prefer to be in control, so it has been disabled for quite a while. While in storage, I noticed that there is stuff there waiting for me to delete 'permanently', hopefully as long as I don't when software comes around, I will be able to recover what I lost.. Thanks again for your suggestions. I have installed the latest version of itunes; 12.8.0.150; but your program keeps telling it needs the latest version of itunes. Please fix it, and upload a new. I have installed the latest version of itunes; 12.8.0.150; but your program keeps telling it needs the latest version of itunes. Please fix it, and upload a new. Successfully installed on win7 Ultimate 64bit. Registration unsuccessful - error states registration server cannot be reached, please check network. check firewall and antivirus....am able to connect to other sites. Any guidance? Just make sure your network is conncted, restart your computer and try again. Kyle, Just make sure your network is conncted, restart your computer and try again. Frank, The old tried and well tested method of fixing a problem...after I posted I tried that and I was able to register. I couldn't delete my comment..... Thank you. I am now using the Windows 10 app version of iTunes available from the Windows app store. Seems this program does not like this and is urging me to dump it and get the standard apple version. NO! I will dump this program instead - until it can manage to get itself up-to-date! I normally blame devs for being lazy but I think this is an Apple stinkbox issue. AKA: check for drivers,etc.. that may be needed. 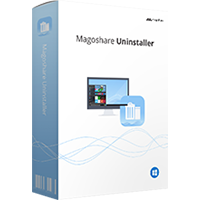 You can reinstall the iTunes and reinstall this software. Dudley, You can reinstall the iTunes and reinstall this software. Ootje, What's the difference between these two links? They look the same to me! Dudley, LOL. They're the same exact URLs. 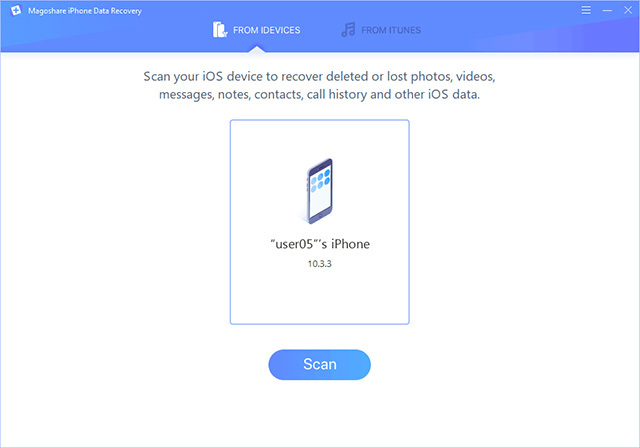 "ecover lost data from inaccessible or locked iPhone"
Can it recover data from an icloud locked phone? 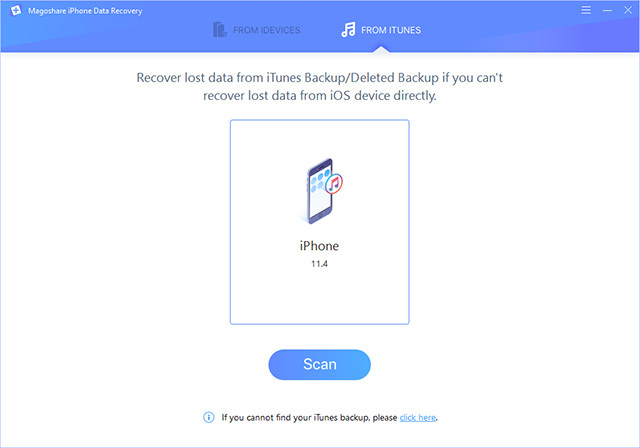 "ecover lost data from inaccessible or locked iPhone" Can it recover data from an icloud locked phone? I am so sorry that this software can't recover lost data from iCloud, but it can recover lost data from locked iPhone device. 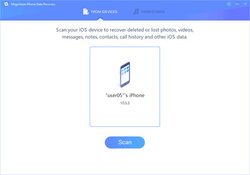 Gupta, I am so sorry that this software can't recover lost data from iCloud, but it can recover lost data from locked iPhone device. Can't get the program to install. The setup file comes back and says Unable to execute file in the temporary directory. Setup aborted. Error 5: Access is denied.